Every morning, marvellous Marty the Alaskan Malamute has started his day with the same routine. After taking a big long stretch, he commences snooping about for breakfast. Upon finishing the most important meal of the day, the 10-year-old boy then goes back to bed for a light snooze before it’s time to head off to work with Alisa. 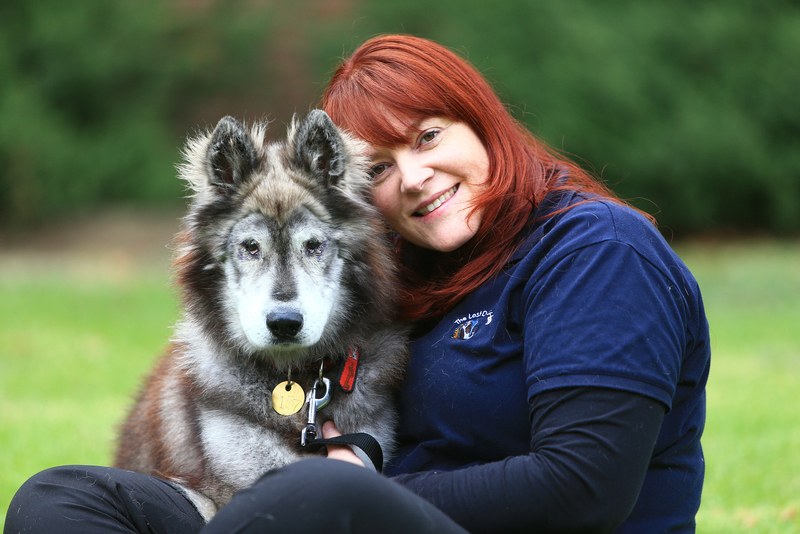 A popular personality around the office, Alisa said taking Marty to work every day has helped her monitor his progress while keeping him social throughout the day. “He just loves being around people and gets along with everyone he meets,” she said. “We go out for several walks a day to keep him well exercised and of course give him a chance to go to the loo. Marty however, was not always full of beans. Brought to our North Melbourne Shelter at the beginning of January this year, Marty was to put it simply, in an awful state. He was visibly emaciated, while his coat was very dry, brittle and was an unusual colour — a possible result of malnutrition. More obvious however, was the terrible condition of Marty’s eyes. Senior Veterinarian Dr Alan Bolton said Marty had a really severe case of entropion — an eye condition where the eyelids are deformed and roll inwards causing a great deal of pain. “His upper and lower lids were rolled in severely which meant that the hair around the outside of his eyes rubbed the surface of his cornea leaving them very sore and impairing his vision. “There was also a lot of secondary infection and discharge as a result. After getting the infection to his eyes under control, Marty was placed into surgery at our shelter hospital. “Marty received corrective surgery to essentially open up his eyes. He did well during the surgery and his following recovery exceeded our expectations. “His eyes healed terrifically and placed into foster care with Alisa to help him regain weight which she’s done with quite a bit of success! 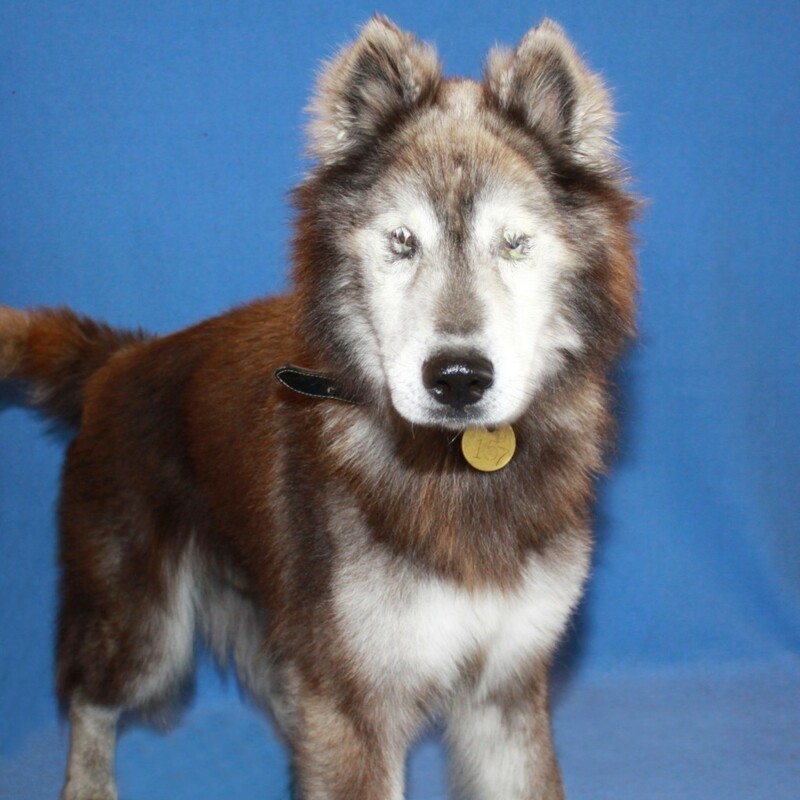 Now at the end of his time in foster care with Alisa, we look forward to Marty enjoying a bright future finding a home through Alaskan Malamute Rehoming Aid rescue that have already placed him into foster care until they find him his perfect home! Want to help turn around the life of a shelter animal? Become a foster carer for The Lost Dogs’ Home today!